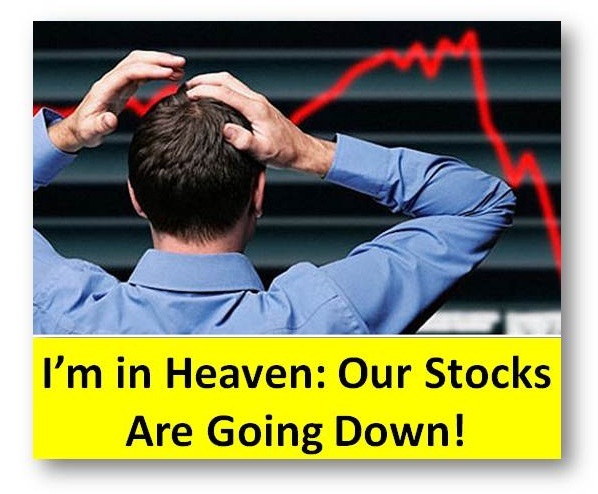 Truly Rich Club Founder Bo Sanchez Said "I’m in Heaven: Our Stocks Are Going Down!" Don't get confuse. Really. One of the principles of stock market is to buy it low and sell it high. You may get confused and ask "I just invested last month and it's now going down, what will I do". No problem. If you're a Truly Rich Club member, you know what I mean. TRC members are not stock market traders. Truly Rich club members are long term investors. Here's the latest Truly Rich Club newsletter from Bo Sanchez. He stated that "Remember that when you buy during scary times like what’s happening now—that’s when you make the BIGGEST PROFITS." Here's the exact message I got from him. I’m in Heaven: Our Stocks Are Going Down! People are calling me up, telling me, “Bo, help! My stocks are going down!” Obviously, these people are newer members of the TrulyRichClub. Newer members have not yet been adequately indoctrinated by ourstrategy. Nor have they experienced a descending stock market. All they’veexperienced is the exhilarating climb of the past months. So now, they’repanicking. But older members don’t call me up anymore. Heck, if new members are panicking, the old members are partying.Like me, they’re in heaven. Because in the past, older members have experienced many “minicrashes”already, kept buying stocks during those depressing times, and a fewmonths later, saw those stocks rocket to the moon—making them very rich. So here’s the key: When everyone is scared, that’s the time you buy.Now is the time to buy our recommended stocks. We foresee three to four weeks of consolidation. That’s our mostintelligent “guess”. After that, we’re hoping the stocks will start inching up again. Remember that when you buy during scary times like what’s happening now—that’s when you make the BIGGEST PROFITS. Because there’s nothing wrong with the companies you’re buying. One day, you’ll be happy you bought at such low prices.